Diana Whitney, Ph.D. is President of Corporation for Positive Change, a global consulting consortium dedicated to the creation of collaborative advantage and life affirming organizations. She is an internationally recognized consultant and pioneering thought leader on topics related to Appreciative Inquiry, the social construction of innovation and positive change, Appreciative Leadership and spirituality at work. Dr. Whitney is a co-founder of the Taos Institute, a fellow of the World Business Academy, and a Distinguished Consulting Faculty with Saybrook University. She is an award-winning writer. Her major works include, The Power of Appreciative Inquiry (with Amanda Trosten-Bloom), Appreciative Inquiry (with David Cooperrider), Appreciative Team Building and her newest Appreciative Leadership: Focus on What Works to Drive Winning Performance and Build a Thriving Organization. Diana’s consulting focus is large scale and high engagement in the arenas of culture change, strategic planning, leadership development, merger integration, union-management partnership and service excellence. 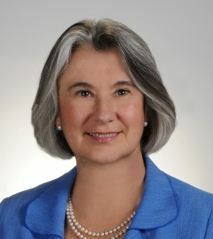 Among the many organizations who have benefited from her work are ACT, City of Regina, CA, Antofagasta Minerals, British Airways, Verizon, Glaxo Smithkline, Canadian School of Public Service, Merck LA, Sisters of Good Shepherd, University of Virginia Health System and the United Religions Initiative.